Earlier this month, the James Beard-award-winning food critic Kevin Alexander wrote a long and very well-received story for Thrillist, framed as something between an act of contrition and a cautionary tale. 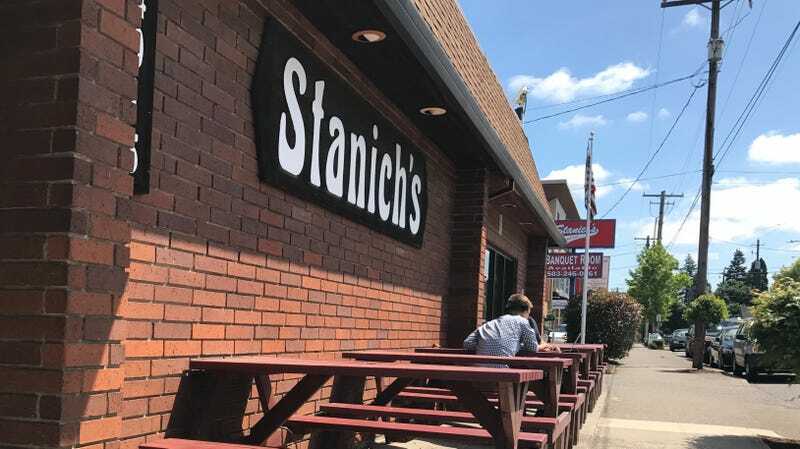 Last year Alexander had named a Portland, Oregon burger joint called Stanich’s the “best burger in America.” Four months later, Alexander wrote, the power of that designation, which sent an influx of new customers to the restaurant, had apparently overwhelmed the business and forced it to close. The piece opens with Alexander reflecting on the Stanich’s mug given to him by the restaurant’s owner, Steve Stanich. In a story in The Oregonian that ran in early 2018, the man who made the best burger in America had called Alexander’s prize a “curse” and “the worst thing that ever happened to us” before shuttering the restaurant for a “deep cleaning” and never opening its doors again. For the past year, Alexander wrote, Stanich’s story had “haunted him.” So he set out to find, ostensibly, the truth. In Alexander’s story, which was picked up by a number of outlets much larger than Thrillist and got Alexander an interview with NPR, he spends a couple hundred words meditating on the power of list-makers like himself. He writes about his process as a writer, and about Facebook, and spends a couple paragraphs reflecting on the dread he experienced before he picked up the phone to call the man who seemed to have lost it all after being named The Best. Alexander talked to a number of other restaurant critics about how to responsibly cover “analog restaurants operating in the digital world,” and grappled, I think sincerely, with the costs of this kind of frenzied ranked journalism. He sat with Stanich in his office, describing the detritus of the restaurant owner’s former life: An unmade bed in the corner, photos of famous men on the walls. Six months after the restaurant owner was held in contempt of court for refusing to pay his wife a long-promised $25,324, a restaurant critic visited town, and named Stanich’s and his burgers the absolute best. The omission of this parallel story, which Stanich has continued to insist had nothing to do with the closure of his restaurant, suggests either sloppy journalistic practice or a preference for believing, at face value, the kinds of stories men tell each other about themselves. It’s possible Alexander did not possess the tools or instinct to look into Stanich’s domestic and legal history. He is a James Beard-award winning restaurant critic, not a court reporter. But when you Google Steve Stanich, the third image that appears is his mug shot. A little further down the page, you can read about the $16,000 the business was ordered to pay a woman employee in 2010 for filing a defamation lawsuit against her that was “later deemed frivolous.” You would think such incidents might inspire a writer, or even a critic, to investigate a source’s claims with a little more skepticism. That does not appear to be what Alexander did, even as Stanich referenced “personal problems” during their interviews. “No, no, successful people don’t blame others,” Stanich told me again, though this time he wasn’t looking at me. Again, we don’t know exactly what Stanich told Alexander, as he hasn’t provided that information. It’s possible that Stanich told a wrenching story—the kind of story that maybe Alexander is inclined to believe, narrating a tale of a “successful man’s” struggle and redemption. Maybe he mentioned his alcoholism and domestic history as the “type of serious thing that can happen with any family,” either of which may have caused another reporter to pause. Maybe he told Alexander about losing his wife and the manager of his restaurant, without mentioning the part where he put his hands around her throat. And maybe Alexander did have a few doubts, as he talked to this person who, in his words, “swirls around you with a never-ending stream of catchphrases and small canned stories and facts,” a person he had spent the better part of a year transforming into his own personal metaphor for the responsibility great men have towards each other. But whatever those doubts might have been, and whatever he did know, it never made it into the story. Maybe it’s because Stanich’s version of events supported Alexander’s own myth-making. Men believe each other; they depend on each other’s narratives to bolster their own. But somewhere out of focus in Alexander’s story of the rise and fall of Steve Stanich, there was an unnamed woman with a terrifying story that just didn’t fit into a thematically cohesive tale about guilt and power. These women are almost always there, if you’re willing to look.